The Chesapeake Curling Club has the following Learn to Curl opportunities available for the public to TRY CURLING! Learn to Curl teaches the basics in about an hour. We have openings for February 17 and February 24. The cost is just $20. The New Olympic Curling Experience is a premium introduction with extended time for a 2 end mini-game with your new friends. We have a limited amount of space on March 1, March 3, and March 4. The cost is $30. If you attend either session, you have some amazing opportunities for even more curling! If you sign up as a NEW MEMBER for next season, we’ll apply your Learn to Curl or New Olympic Curling Experience towards next year’s dues. If you’re not sure that you want to commit to an entire season, you can pay your way and attend any Drop In or New Member Practice session on Sunday or Monday. Check our calendar for details. Get an entire game for $30. 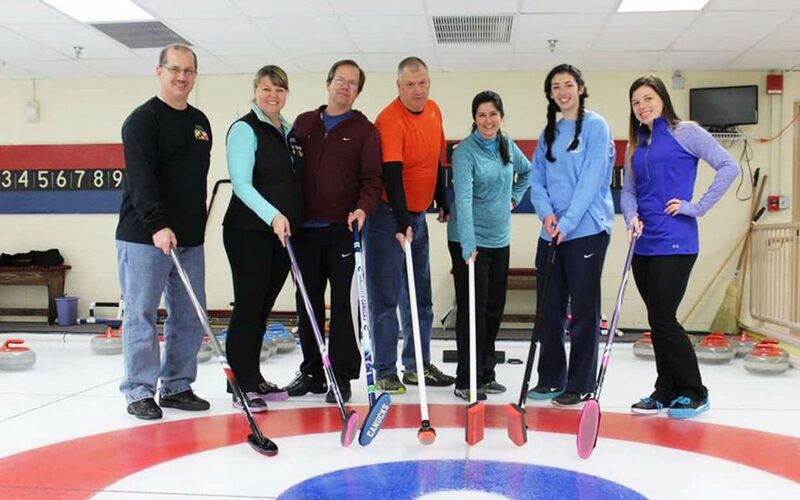 The Chesapeake Curling Club is also able to host custom Learn to Curl programs for larger groups of prospective curlers on a limited basis. To inquire as to availability, please contact us.